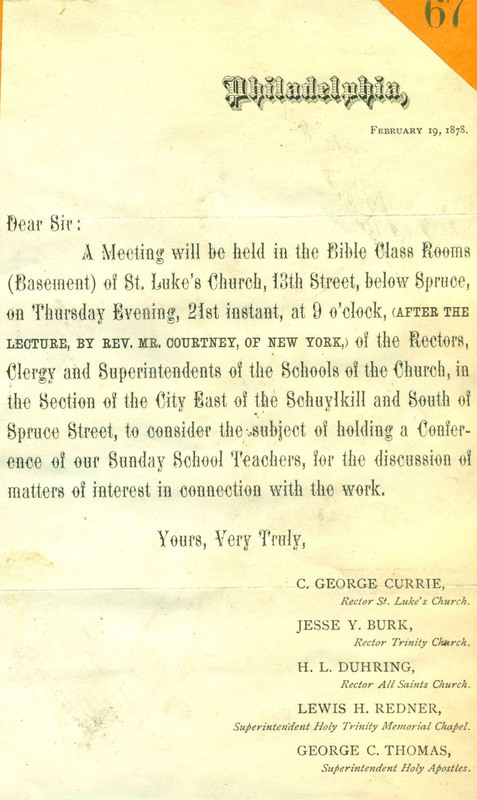 This entry was posted in St. Luke's Church (Philadelphia) and tagged Archives of the Diocese of Pennsylvania, Center City, Charles George Currie, Gayborhood, George C. Thomas, Herman L. Duhring, Jesse Y. Burk, Lewis H. Redner, Washington Square West on February 18, 2017 by mjk38. This entry was posted in Church of St. Luke & The Epiphany, Epiphany Chapel and tagged Center City, Charles George Currie, David M. Steele, Gayborhood, Parish Helper (St. Luke and The Epiphany), Washington Square West on December 18, 2015 by mjk38. 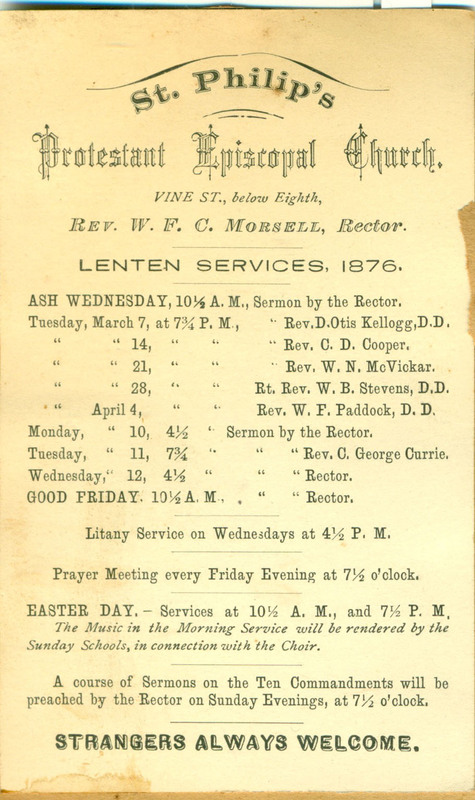 This entry was posted in St. Philip's Church and tagged Center City, Charles D. Cooper, Charles George Currie, D. Otis Kellogg, Wilbur F. Paddock, William Bacon Stevens, William F. C. Morsell, William N. McVickar on March 15, 2015 by mjk38. This entry was posted in Church of St. James the Less, Church of St. Luke & The Epiphany, St. Luke's Church (Philadelphia), St. Paul's Church (Chestnut Hill) and tagged Charles George Currie on April 28, 2014 by mjk38.